Some fans of this website might remember when I wrote about Martha and the Vandellas music video on the Ford Mustang production line. Why did Berry Gordy, maestro of Motown, want to shoot a video on Ford Mustang assembly line? Well Gordy actually had a job building cars for awhile working for Ford, well specifically Lincoln-Mercury at the time. 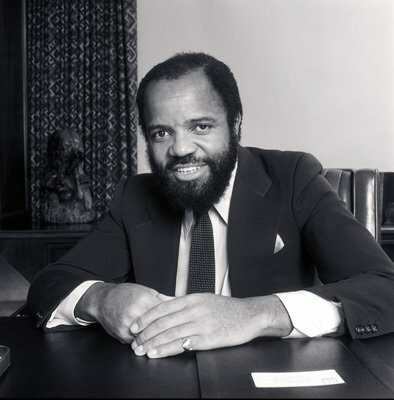 According to Berry Gordy's autobiography To Be Loved, he began working for Ford in a foundry, which is probably the Rouge River Plant, a job which actually only lasted one day for Gordy. (I'm sure we all remember those jobs!) He was fired when he asked for a transfer due to strenuous working conditions. Later Berry Gordy got a another job at a Lincoln-Mercury assembly plant making $86.40 a week. (A New York Times article from 1955 cites the Bureau of Labor as having the average hourly wage for auto workers at $2.24, which would be comparable given a normal 40-hour work week.) His job “fastened upholstery and chrome strips to… [automobile] frames.” It's not clear how long he worked that but his biography does say he worked at the assembly plant for two years, likely from 1954, 1955 to 1957. He quit his job there in early 1957. An interesting side note is that during this time working at the Lincoln-Mercury factory he was already writing music. He composed in his head while on the assembly line using a tonal-to-numerical conversion system he developed, at least according to his book To Be Loved. Technically in his autobiography Gordy does not specify exactly what plants he worked at. It is likely that the foundry he worked at for one day was the Rouge River Plant. The Lincoln-Mercury assembly plant would most likely be located in Wayne, Michigan which is the only area Lincoln-Mercury assembly plant was listed at the time. In the book Wheels for the World, by Douglas Brinkley, he specifies the Wayne Assembly Plant as the plant where Gordy worked. On the Motown Museum website it even has a little bit of history about Berry Gordy working building and assembling cars. The well-tuned factory that pumped out so many great and memorable songs we all know and love was somewhat inspired by the automobile production process. He even applied the ideas from automobile quality control process to make his music studio turn out hits. He took key advice from music producers. So that explains why they filmed a music video on an active production line. That's part of Detroit and part of Gordy's past which he used to help cultivate talented musicians into making hit songs. I've already mentioned this but if you haven't seen Standing the Shadows of Motown you really need too. It's about the musicians that played on all those hit Motown songs that never got the credit or monetary compensation they deserved. Anyway, what do you think of Berry Gordy working at a Lincoln-Mercury plant? What do you think of him applying auto manufacturing techniques and principles to making Motown hit songs and records? Does this show that you learn something even from jobs that might seem mundane and uninteresting?